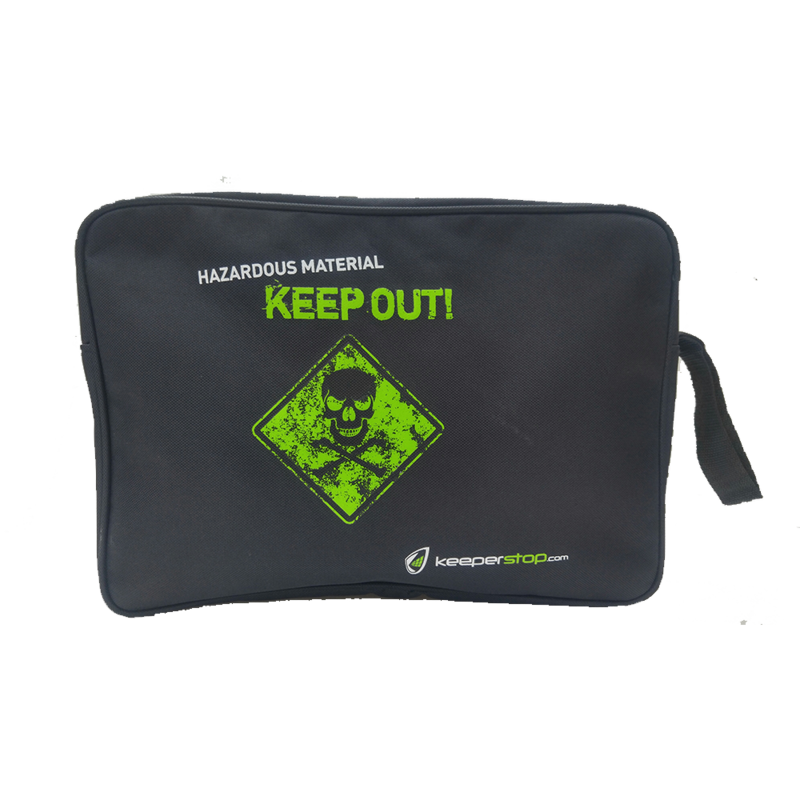 Store and protect your goalkeeper glove in a breathable keeperstop.com glove bag. Goalie glove carrying bag that can store 2 pair of gloves as well as your personal items. You can store multiple pairs of gloves or a combination of gloves, cleats and water bottle in this bag at one time. 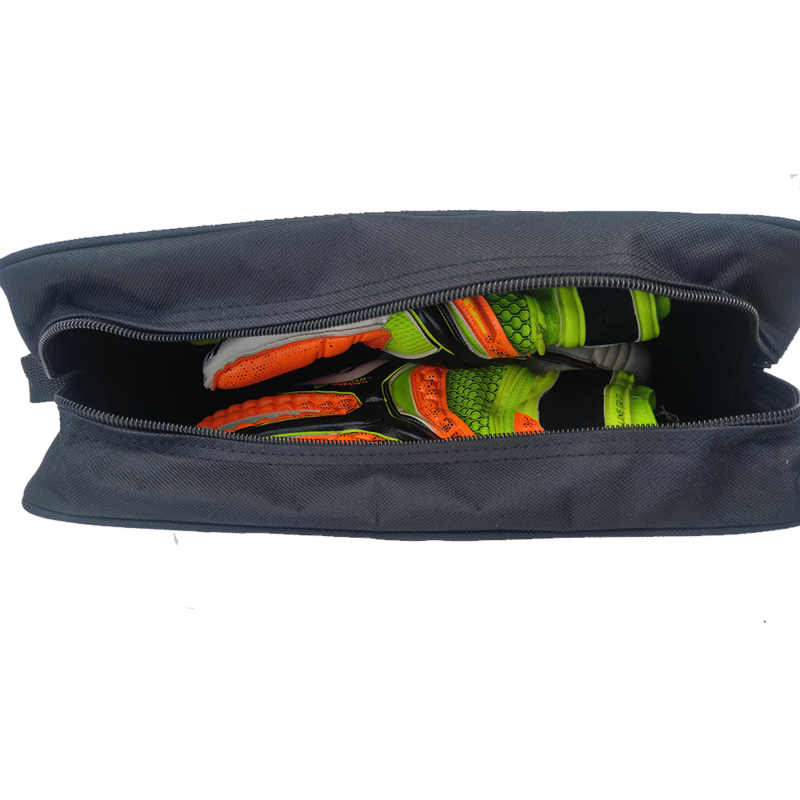 Protect and store your most valauble piece of equipment, your goalkeeper gloves. The Keeperstop Glove Bag can secure two pairs of gloves easily. There is a mesh insert inside to separate your valuables from your goalie gloves. 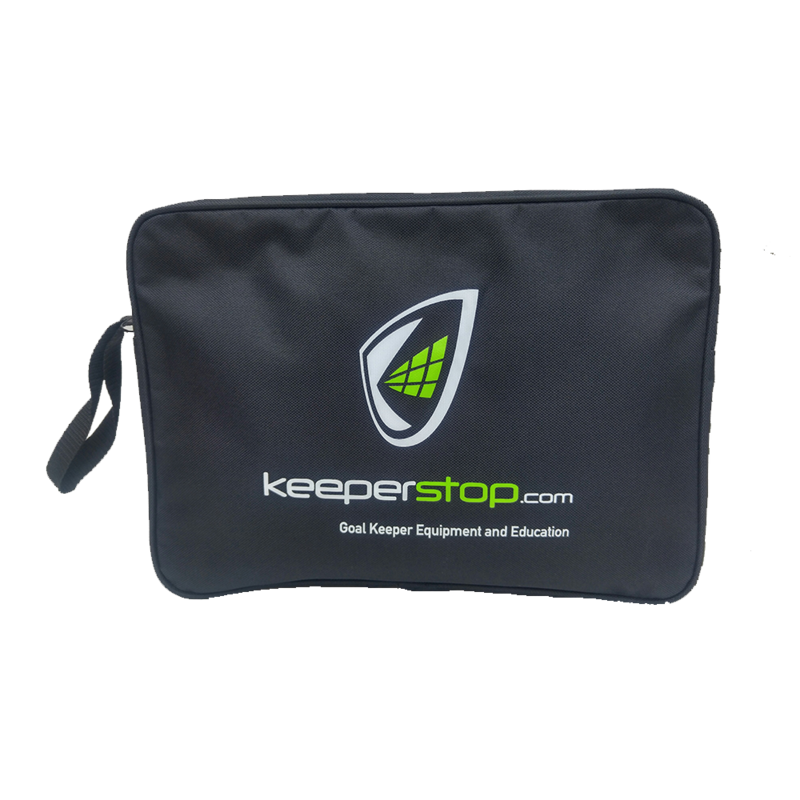 The Keeperstop.com Glove Wallet can be carried to the field by its pull loop or be tucked into your soccer bag. Gloves need to be seperated from clothes and cleats to protect the keeper gloves from damage during transport or to protect your equipment from the Hazards of smelly goalkeeper gloves! Conveniently closes with sturdy zipper. Black with with Keeperstop logo on front and Hazardous Material message on back. Hand wash when needed.